Ooni Of Ife: "In The Palace I Was Never Single"
You must have had a great birthday with your wedding just two days apart. Tell us about that experience for you. I don’t know why the whole world made a big deal about it. To the glory of God, marriage is one of the things that one should do. Honestly though, I was never really single. I have a permanent Olori in the palace spiritually but I just joined my new one physically. The permanent Olori in the palace is the Yeyemolu, who is the first Olori in the palace and she has a spiritual role to play in here. 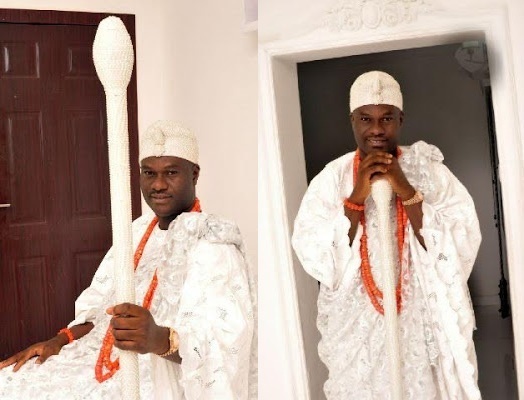 As a matter of fact, the Ooni can never be single because he permanently has a wife in the palace. Even if there is no woman in the palace, she, the Yeyemolu, is there always. Many people probably just thought I was single all the while. What I am going to say about my new wife is that to the glory of God, she is a good lady. I like to motivate people and I play lawn tennis. I actually play a lot of sports. I have many gifts and I try things. I play table tennis and badminton very well and I want to improve on some indoor sports like squash and others. Do people let you win (because you are the Ooni) when you play against them? I am very good at the sports I play; so, I will beat anyone. I went for competitions.